Reversible, pull-over cape design with wide welt finished neck opening in superfine Italian wool crepe. Contrasting seams on both sides. Functional luxury. Our first release of the new year is inspired from a 1970’s discovery found at an estate sale. We updated the design to a fully reversible, one-size cape sweater featuring 2-ply of superfine Italian wool crepe — wine and bankers heather gray — with contrasting seam borders. 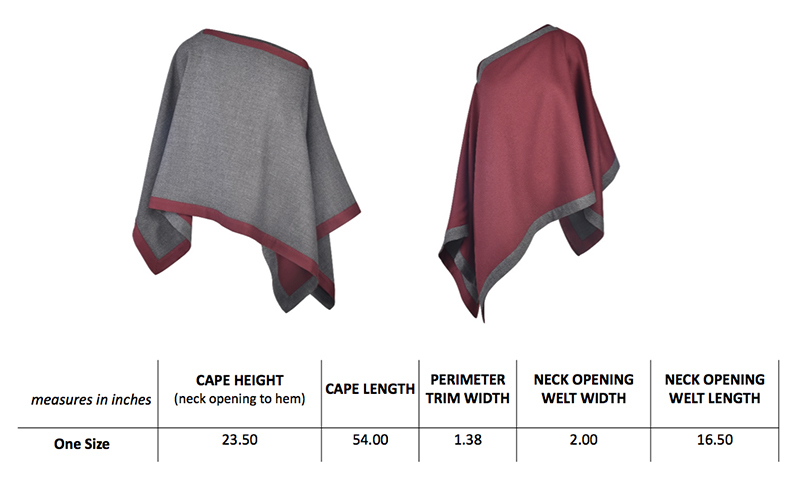 The center opening of the Cape Sweater gives several options for chic layering and wearing it on its own.